Northern Colombia has recently been besieged by a severe drought, affecting vast swathes of the country and its inhabitants, with additional social and political ramifications as worse may still come. Drought has devastated many parts of northern Colombia, including Wayuu indigenous communities such as this in La Guajira. Photo courtesy of EFE. As many parts of Colombia continue to recover from an extraordinary drought that has affected hundreds of thousands of people and devastated local agriculture, the looming threat of an El Niño event over the coming months is continuing to worry authorities and communities who are struggling to deal with the prolonged crisis. 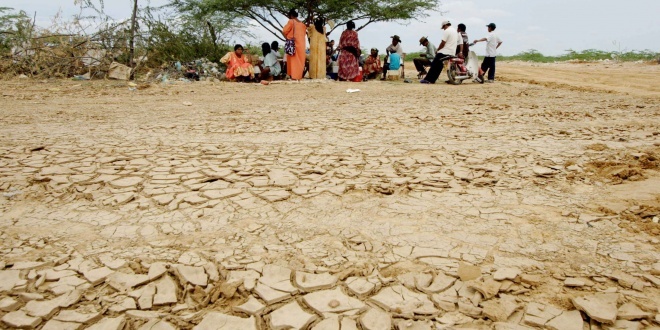 Some regions, particularly in the northern Caribbean coastal areas of the country, have reportedly not seen rain for up to two years, with the state of La Guajira particularly badly hit. Earlier this year, the eastern region of Casanare had made national headlines after a devastating drought brought on by high temperatures and months without rainfall led to the deaths of more than 20,000 animals, many of which were cattle essential to local agricultural practices and economics. However, the current bout has proven to be considerably more widespread and more damaging, with scores of municipalities across the country on high alert and a dozen or so declaring states of emergency. Tens of thousands of acres have been ruined by fires and soil degradation from the lack of rain, leading to crop failure and reduced harvests putting further pressure on local populations already struggling with shortages of drinking water. Some states have seen their rice production fall by up to 50%, contributing to an expected decline in the contribution of agriculture to Colombian GDP this year. Moreover, local reports highlighted the deaths of 15 children from indigenous communities in La Guajira, allegedly due to appalling sanitary conditions aggravated by the long-term lack of rainfall in Colombia’s far north. The region is often cited among the country’s most deprived, and the adverse climatic conditions have worsened the plight of many of La Guajira’s inhabitants as shoddy infrastructure has compounded the scarcity of safe drinking water. Coastal regions around the Caribbean have been the worst affected. Photo courtesy of Getty Images via BBC. As the rainy season begins to move in over the next month or so, many of the affected regions are still so far behind the game in terms of recent rainfall and water reserves for agriculture and local populations, that they are unlikely to make a full recovery by the time the rains recede and the next dry season arrives – and with El Niño predicted to make an appearance, the next dry patch could be even more severe than the most recent one. Experts and politicians, including President Juan Manuel Santos himself, have warned that drought conditions are likely to continue well into 2015. However, the drought has already left its mark in ways beyond the corpses of cattle and swathes of withered crops. Local and national authorities eventually began to respond to the crisis by shipping in containers of drinking water to the worst-affected regions and releasing emergency funds to help communities deal with the shortages via other means, including the drilling of wells to try and tap into what underground water reserves were still available. Yet the showering of public money, which extends to subsidies and financial aid for farmers in danger of seeing their businesses ruined by the drought, has failed to douse the anger that many feel over the delayed and often inadequate response by authorities. In mid-August, this anger spilled over among the inhabitants of La Guajira, who not only wanted to vent their frustration at the stresses they had been put under as a result of the drought but who also saw the whole crisis as an expression of the long-standing depravation and vulnerability of their region, itself a result of the indifference shown to it by Colombia’s political machinery. Indefinite demonstrations were called to demand concerted government action to not only alleviate the region’s plight caused by the drought but also to tackle the roots of the longer-term trends of poverty and inequality in the region. As many as 70% of businesses and establishments in the region’s capital, Riohacha, were reported to have closed as a result of residents going on strike to support the protests, which began peacefully but ended up provoking pockets of violence that led to arrests as well as the injuries of nine people. Demands also included a greater share for La Guajira of the royalties that come from the area’s mining boom, the majority of which currently go to the foreign companies that operate the mines, as well as to the central government. Local communities have long voiced opposition to the unabated expansion of the mining industry, on account of the heavy social and environmental price that the region’s inhabitants often have to pay. Protests broke out in La Guajira as anger rose over the government’s slow and inadequate response to the crisis and long-standing inequality and poverty. Photo courtesy of Colombia Reports. Conditions since July and early August appear to have improved ever so slightly, and so the drought and its impacts have receded somewhat from local and international news coverage. However, the development of an El Niño event, even if it does turn out – as now widely speculated by meteorologists – to be just a mild event, would set many of the afflicted regions back in their recovery. 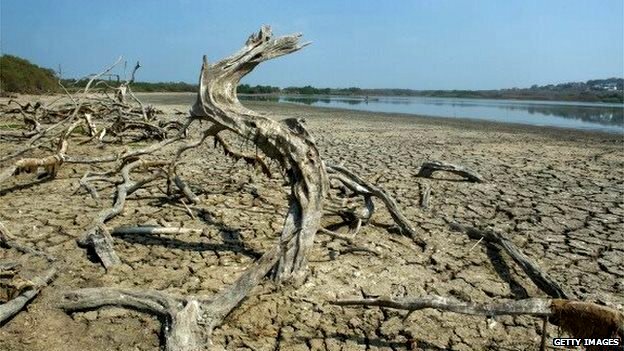 Furthermore, looking even further ahead, the spectre of climate change caused by global carbon emissions will continue to pose the probability that devastating climate phenomena such as the recent drought will hit Colombia’s north again, perhaps even with greater frequency and intensity. With this in mind, the concerns raised in La Guajira and elsewhere about a lack of long-term preparedness by authorities in the face of such severe droughts (or indeed the other extreme – flooding – which ravaged many parts of Colombia in 2010-11) should be taken very seriously indeed, particularly when regions that are home to considerable populations already suffering from poor socioeconomic conditions are expected to remain in the firing line of climate-induced disasters. The protests and social unease should also serve as a warning to future governments, in Colombia and elsewhere, that the adverse impacts of natural disasters brought on or accentuated by climate change could also aggravate pre-existing social tensions caused by a lack of proper attention to the socioeconomic needs of all sectors of society. An increase in conflict and difficulties in governability have been mentioned by the Intergovernmental Panel on Climate Change (IPCC) as probable consequences of climate change, and events in Colombia could be present-day evidence of these risks. In the meantime, though, Colombia’s drought-stricken north can only do its best to recover from the latest crisis, and hope that an upcoming El Niño doesn’t mean that there is worse to come just around the corner.